As we head towards the final quarter of 2015, activity in the property market in Edinburgh and the Lothians continues to be brisk. 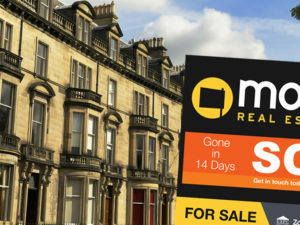 In the three months from June to August nearly 2,500 homes were sold in Edinburgh according to figures released by ESPC. That’s an increase of 7.4% compared to the same period a year ago. 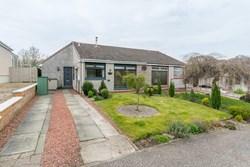 In other areas of the Lothians, the rise in property sales has been even more significant. 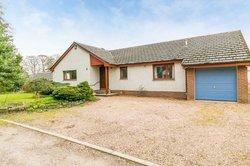 In East Lothian the number of homes sold rose by 15.3% annually, while in West Lothian sales were up by 19.8%. 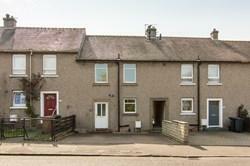 Midlothian saw the sharpest rise of all, with the number of homes changing hands in the three months to August up by 35.5% compared to the same period a year ago. The sharp percentage increases in the Lothians can largely be attributed to the smaller number of total sales in these areas. Where there is a lower number of sales, or smaller sample size, figures are inherently more volatile because it takes a relatively low number of additional sales to lead to a sharp percentage increase. In Midlothian, for example, the 35.5% increase is based on just 72 more homes selling between June and August this year than in 2014. Nonetheless, the overall picture across Edinburgh and the Lothians is that property sales are on the rise, and this continues a trend that we’ve seen over the last five years. 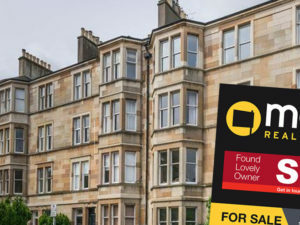 In Edinburgh itself, for example, the number of homes sold between June and August has risen in each of the last four years, from 1,459 in 2011 to 2,459 this year. 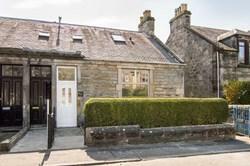 As you would expect, the rising number of sales means that local market conditions are favourable for most sellers. According to ESPC, 68.5% of homes sold in Edinburgh over the last three months achieved a selling price that was equal to, or in excess of the original Home Report valuation. That’s up from 66.6% last year, and from 41.8% two years ago. Properties are also selling more quickly. Between June and August, the median selling time for properties sold through MOV8 was just 25 days and in many cases sellers are now in a position where they are able to set a closing date and choose from a number of competing offers. Interestingly, across Edinburgh as a whole, house prices are not rising sharply despite the increase in buyer activity. 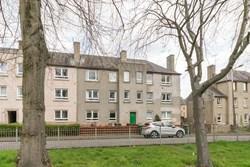 Overall the average house price in the city stands at £224,962. That’s actually down slightly from £226,751 last year. To date, the number of homes coming onto the market has just about been able to keep pace with demand and this has helped to keep house prices under control. We are already starting to see signs of some areas where the market is hotter and prices are rising, and it is likely that we’ll begin to see such cases become more widespread in the months ahead as demand continues to rise. 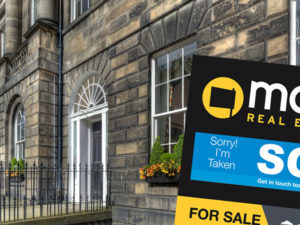 The current picture in the Edinburgh property market is a healthy one, with homes not spending too long on the market and prices not changing too sharply. We again saw a reminder this month of potential problems ahead though, with the Evening News reporting that the number of homes being built in Edinburgh is falling well short of what the city needs to keep pace with demand in coming years. Over the last 12 months, the number of new build homes completed dropped by 16% compared to the previous 12 month period. The number of homes being built was already only at around a third of the level that would be needed to keep pace with the projected growth in household numbers in coming years, so these figures certainly give cause for concern. If we don’t start to see an improvement in the number of new homes being created that could lead to a situation in the years ahead where demand for property in Edinburgh significantly outweighs supply. That in turn would push house prices up sharply, making it difficult for first-time buyers and those looking to move up the property ladder to find an affordable home that meets their needs. 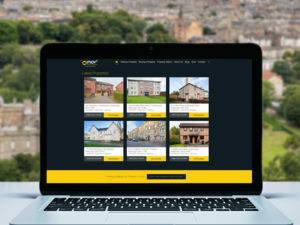 It is becoming increasingly important that the council look at ways of facilitating and encouraging new build development to ensure that the cost of accommodation in Edinburgh, which is already higher than in most areas of Scotland, does not get pushed up to a level where it becomes unaffordable for the city’s residents. Jamie gained several years of experience in sales, customer service and marketing through working in the mortgage industry and then the events sector before finally giving in to his passion for property, something that has been in his blood from an early age. Jamie brings with him a vast range of experience and knowledge to the MOV8 family and loves nothing more than learning and expanding his knowledge to the benefit of our clients.